So I hear you say…. what is 'Japandi’ style? Japandi ( Japan + Scandinavian ) simply refers to the combination of Japanese and Scandinavian interior design. 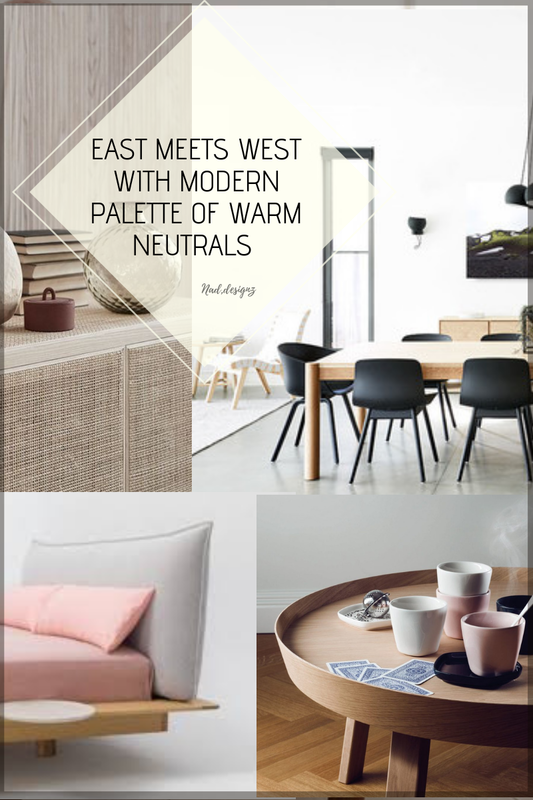 Both styles are all about creating functional, calm atmosphere reflecting the fusion of the bright colors of Scandinavian design and that of the warm and neutral colors of the Japanese interior. Interested? Here are few principles to re-create this look in your home or workspace. Although both styles comes from different sides of the world, they still share similar concept and elements such as minimal, simple decorative accents clean lines and above all functionality. Scandinavian accent pieces focus on comfort first relying on items such as plush rugs, throw pillows and cozy blankets to create homey feel. Whilst the Japanese interiors tend to focus more on concept of well-being using items such as vases or screens. The main accent colours in Japandi interiors includes neutral, pastel colors found in Scandinavian style with few contrasting shades such as mint, emerald green, pink and ivory to create calm yet stylish atmosphere. Make use of the natural elements such as bamboo and plants to warmed up your space whilst creating sense of vibrancy. Japandi style also encourages creating dramatic contrast, by mixing the light and natural woods of Scandinavian with the sophisticated darker wood tones found in traditional Japanese interiors to bring some depth, texture to your space. And lastly. Infuse some Japanese philosophy by choosing a low style furniture such as sofas or coffee tables to easily bring that Japandi vibe into your home. Do you agree that sometimes two styles are better than one? Will you use this look in your own interiors?